Ásmundur Sveinsson (1893–1982) var einn af frumkvöðlum íslenskrar höggmyndalistar. 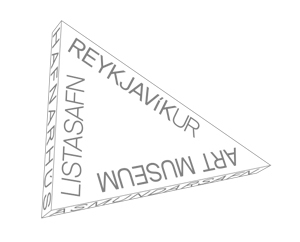 Fyrr á árum mættu verk hans iðulega andstöðu og hörðum dómum en með tímanum hafa þau fest sig í sessi sem ein af birtingarmyndum íslenskrar sagnahefðar, samfélags og náttúru á 20. öld. 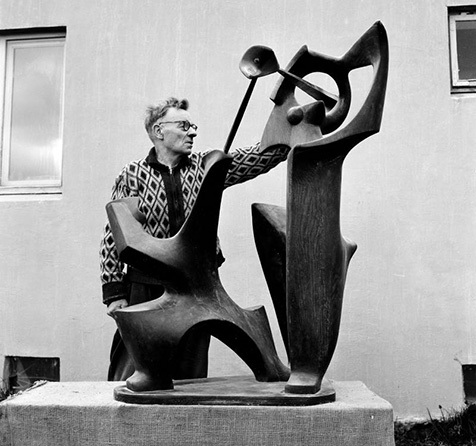 Ásmundur Sveinsson (1893–1982) was one of the pioneers of Icelandic sculpture. In his early days his pieces invariably met with opposition and fierce criticism but over the years they have established themselves as one of the manifestations of the Icelandic narrative tradition, society and nature in the 20th century. Ásmundur studied at the Royal Swedish Academy of Fine Arts in Stockholm under the guidance of sculptor Carl Milles. In the late 1920s he lived in Paris for three years and travelled around Italy and Greece. That time had no less effect on him than his student years in Stockholm. Ásmundur remained faithful all his life to the principle that art was relevant to the people and belonged with the masses. He was called the “folk poet” of visual art, and without a doubt that ideal arose from his philosophy no less than from the tradition of sculpture. Many of his pieces were conceived as a part of public space, an integral part of the surroundings, or were developed as design and craft works. Ásmundur bequeathed his works and his home/studio to the City of Reykjavík at his death, and the Ásmundur Sveinsson Sculpture Museum in Sigtún was formally opened in the spring of 1983. The collection spans his entire artistic career and shows how his work evolved and changed over his long life. A large number of Ásmundur's works can also been seen in public spaces in Reykjavík. In the garden of the Ásmundur Sveinsson Sculpture Museum there are regular exhibitions of Ásmundur's works and those of other artists. A number of the artist’s works are on display in the Sculpture Garden, either enlarged, or specifically conceived as outdoor pieces. Reykjavík Art Museum possesses almost 2,000 drawings and sketches by Ásmundur. They feature various subjects; figure drawings, religious icons, landscapes, form studies, portraits, abstracts, and a number of drawings associated with specific sculptures. Ásmundur had no opportunity to study drawing before the age of 22, when he arrived in Reykjavík in 1915 to study woodcarving. From that time he drew prolifically. The collection contains drawings from Ásmundur's time in Copenhagen, his study years in Stockholm, his stay in Paris, from his travels in southern Europe, as well as drawings associated with his artworks in Iceland, but there are fewer drawings from later stages of his career.